Advisors - InCube Labs, LLC. Our Advisory Board includes thought leaders, industry experts and executives with diverse and deep experience across a range of disciplines and industries - from medicine and pharmacology to medical devices and regulatory affairs. Our Advisors provide invaluable perspectives and insights on our research projects and our companies, helping inform and shape our strategy and future direction. The following are advisors to InCube Labs and/or InCube Ventures. Dennis (Denny) Ausiello, MD is the Director of the Center for Assessment Technology and Continuous Health (CATCH), a program he founded as a joint effort between Massachusetts General Hospital and Massachusetts Institute of Technology (MIT) physicians, scientists and engineers to provide real-time measurement and analysis of the human phenotype in wellness and disease. 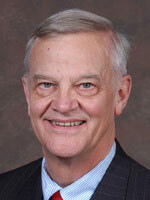 He previously served as Chief of Medicine at Mass General from 1996 until his retirement in 2013. In this role, he led one of the strongest departments of medicine in the country. He is a nationally recognized leader in academic medicine, having been elected to the Institute of Medicine of the National Academy of Science (1999) and the American Academy of Arts and Sciences (2003). He has written for many publications, including the New York Times and the Wall Street Journal, on various health subjects including human genetics, clinical trials, and the relationship between the academy and industry. 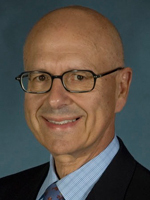 As an internationally recognized scientist, with specific expertise in epithelial and membrane biology, ion and water channel regulation and signal transduction, Denny has served as a council member of the National Institute of Diabetes, the Digestive and Kidney Diseases Advisory Council and the National Advisory Council on Aging. He served on the Board of Directors of the Broad Institute, an independent partnership of Harvard and MIT faculty working in human genetics, as well as the Board of Directors of the nonprofit organization, Research!America, the leading advocate group for investment in biomedical research in the United States. Understanding the need for partnerships between the academy and industry, he currently serves as the Lead Director on the Board of Directors of Pfizer Pharmaceuticals, as well as on the Board of microbiome company Seres Health; TARIS, a drug-delivery company; and Alnylam, an iRNA company. He also serves as an advisor to various biotech companies and venture capital companies working in the biotech and device area. Denny is also a consultant for Verily (formerly Google Life Sciences). 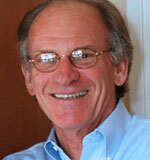 He holds a BA from Harvard College and an MD from the University of Pennsylvania. Kathy Buto is currently an independent consultant, focused on health policy issues. She serves as a Commissioner, Medicare Payment Advisory Commission, which advises Congress and the Administration on Medicare payment to health plans and providers. 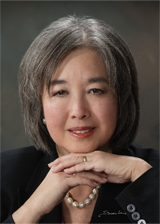 Ms. Buto retired in March 2013 as Vice President, Global Health Policy, Government Affairs, at Johnson & Johnson, where she was responsible for helping to identify opportunities for J&J to take leadership in shaping health care policy globally. She managed a team that included physicians, economists, and health policy analysts in the U.S., Europe, and Asia Pacific and addressed issues that included expanding access to health services for populations in the emerging markets, interacting with health care authorities, and promoting prevention services globally. Prior to joining J&J, Kathy was a senior health adviser at the Congressional Budget Office, helping to develop the cost models for the Medicare drug benefit. Before that, she spent more than 18 years in senior positions at the Health Care Financing Administration, now called the Centers for Medicare & Medicaid Services. In these positions, she headed the policy, reimbursement, research, and coverage functions for the agency, as well as co-leading Medicare’s fee-for-service and managed care operations. Kathy was the recipient of 5 Presidential Rank Awards and the 1999 Public Service Award while in government and several Standards of Leadership Awards and New Jersey’s Women and Industry Award in 2010, while at Johnson & Johnson. She received her Bachelor of Arts from Douglass College and her Masters in Public Administration from Harvard University. 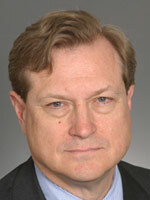 Peter Barton Hutt is a Partner specializing in food and drug law in the Washington, D.C. law firm of ovington & Burling. He served as Chief Counsel for the FDA from 1971-1975 and is the co-author of a casebook used to teach food and drug law throughout the country. 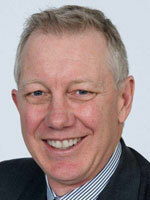 Mr. Ringo served as the Senior Vice President Strategy and Business Development at Pfizer from 2008-2010. Mr. Ringo currently serves as a Senior Advisor to Barclays Capital and executive in residence at Sofinnova. 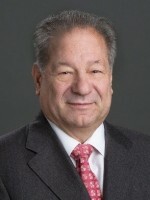 In addition, Mr. Ringo serves as Chairman of the Board for Sangamo BioSciences, which is focused on research and development of novel DNA-binding proteins for therapeutic gene regulation and modification, and holds a Board seat for Onyx Pharmaceuticals, Inc., a biopharmaceutical company committed to improving the lives of people with cancer. Mr. Ringo also serves on the Board of Directors of BioCrossroads, a public-private collaboration of corporate, university, government and entrepreneurial leaders that supports Indiana's life sciences research and corporate strengths in life sciences while encouraging business development in the region. 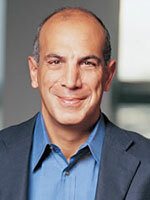 Prior to joining Pfizer, Mr. Ringo served as an executive in residence at Warburg Pincus and Sofinnova Ventures. From 2004 to 2006, he was President and CEO of Abgenix, Inc., a biotechnology firm focused on developing human antibodies as agents to treat cancer and other serious diseases. At Abgenix, he led efforts to transform the organization into a more focused product company by strengthening the senior management team and enhancing an existing partnership with Amgen, which purchased Abgenix in 2006. Mr. Ringo began his career at Eli Lilly & Company in 1973 and during his 28-year tenure there he held a number of senior positions, including Product Group President for Oncology and Critical Care, President of Internal Medicine Products, President of the Infectious Diseases Business Unit, and Vice President of Sales and Marketing for U.S. Pharmaceuticals. He retired from Lilly in 2001. Mr. Ringo holds a B.S. in Business Administration and an M.B.A. from the University of Dayton.